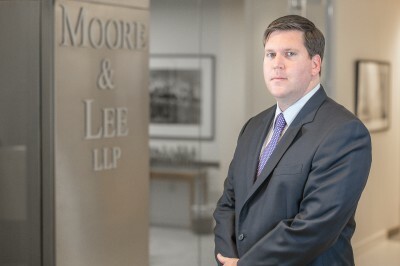 Jason C. Constantine is a Partner at Moore & Lee, LLP. Mr. Constantine’s practice focuses on construction law, government contracts and commercial litigation. Mr. Constantine’s experience includes representing clients in connection with complex litigation of construction, commercial and government contract disputes in state and federal court, board of contract appeals, arbitration and mediation. Since joining the firm, his practice has included representing owners, developers, general contractors, subcontractors, sureties and suppliers in a wide variety of matters including claims related to change order disputes, construction defects, design errors and omissions, delay and inefficiency, default termination, mechanic’s liens, performance and payment bonds and bid protests. Mr. Constantine has extensive experience in representing owners and developers in claims against architects and engineers for design errors and omissions on projects that led to increased construction costs and delays. Mr. Constantine is a member of the American Bar Association’s Forum on the Construction Industry and the Virginia Bar Association.